October 18, 2018 – Today’s post is from Mary Euler. Heath Ledger, Marvin Gaye, Billie Holiday, Kurt Cobain, and more recently, Prince, and Aretha Franklin all died without a will. 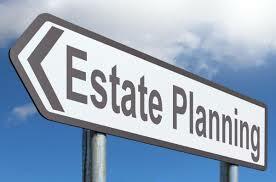 It can be shocking to learn that successful celebrities with sizable fortunes have died without any estate planning. Regular folks have the same problem — some estimates place the number of adult Americans without a will at more than 60%. The failure to have a will or other estate planning documents, such as a trust, can result in unnecessary costs and confusion for heirs. For example, many are surprised to learn that if you are married, have children, and die without a will in North Carolina, your estate will be divided between your children and your spouse, rather than transferring solely to your spouse. Prince died in April 2016 at the age of 57. He had an estimated estate of $200 million in wealth at the time of his death. As of two years after his death, his heirs still have not received any money. However, the personal representative of Prince’s estate, along with a small army of lawyers have pocketed at least $5.9 million in fees. Proper estate planning would have cost Prince a tiny fraction of the amount his estate has paid in attorney fees thus far. The Prince heirs that have come forth to insist upon ownership of his estate include five half-siblings, one of whom hadn’t seen Prince for 15 years. Prince also left behind thousands of hours of unpublished music. Unfortunately, Prince left no clear directive as to how his catalog of music should be used and released. Aretha Franklin died on August 16, 2018 at the age of 76. While she sang, “You better think. Think about what you’re trying to do to me,” Aretha Franklin obviously did not think about planning for her death. Her lack of estate planning is surprising as Franklin suffered with endocrine-related cancers since 2010. Also, she had a special needs son named Clarence who will need financial and other forms of support for his entire life. With advance planning, Aretha Franklin could have worked with an attorney to create a special needs trust for Clarence to secure his continued care. As it is, Franklin’s four children will likely find something to fight over. Things can become a lot harder on the family after a death when no planning is in place. In working with an attorney, you want to take time to think out potential problems. Are you worried that your son-in-law will spend all your daughter’s money once you die? Are you fearful that a niece with a drug addiction shouldn’t be left $50,000 in cash? Do you have a child with special needs who will need help? These are the kind of things you’d want to address in an estate plan with an experienced estate planning attorney.